Construction has always been in the blood for Dan, his father, uncles and grandfathers were or still are builders or in the building industry. 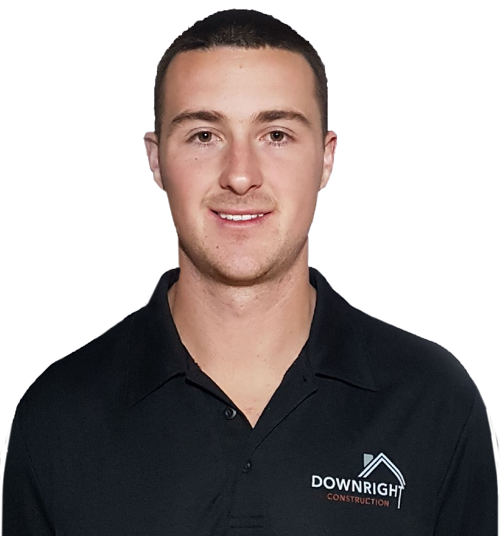 With generations of knowledge and over 8 year’s experience himself in the industry Dan has acquired a wide skill set that helps to drive and co-direct Downright Construction today. Dan is the first face that most clients see where he ensures the highest degree of professionalism and client service are achieved to help take your project from planning to completion. His roles include but are not limited to, client relationships, project management, contracts and negotiations and is well versed in the art of getting consents processed through council. Dillon begun his career in construction over seven years ago. developed invaluable skills in all aspects of construction, from foundations to finishings. In 2016, Dillon brought his expertise to the co-director role at Downright. Dillon prides himself on his precise and conscientious eye for detail. He personally oversees projects and has an active role with on-site work, this ensures all projects are consistently of the highest standard. No project is too daunting or difficult for Dillon, he is always excited for a new challenge and the chance to continually exceed any and all expectations. Founded in 2016 with Dillon becoming a Co-Director in Late 2017.. We met 6 years ago, working for the same company doing our apprenticeships. A few years later, our paths crossed again & we joined forces to make DownRight Construction the company it is today! 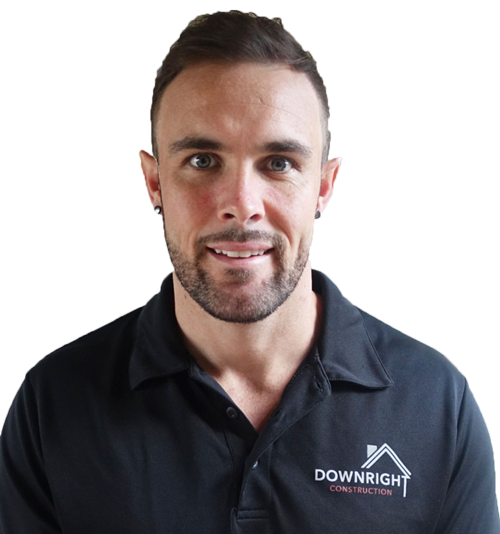 "DownRight Construction is New Zealand owned & operated, specialising in high-end new homes and complex renovations in the wider Auckland region." integrity, transparency & trustworthiness we bring to every project. Given the complexities of building and compliance, it is imperative to have someone on your team that knows the building process from start to finish in order to save clients both time and money. With DownRight Construction you get the full service every time! 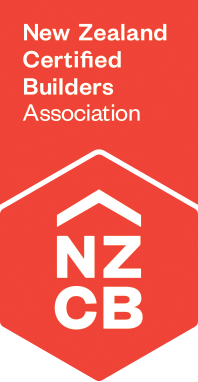 Being Certified builders means that as a company we have had to pass the highest New Zealand building standards before we could offer you as our client the best Building Contracts and Guarantees available. Before any soil is turned on your site, you will be insured. Not only will you be insured, you'll be insured with New Zealand's best building insurance. The 10 Year Transferable Halo Guarantee. Enjoy having peace of mind knowing you have the best cover in place! This guarantee we provide you with is the best of its kind in New Zealand. It's also independent. That means if the unlikely happened to us, or even to the Certified Builders Association itself, the Guarantee still stands. Being licensed provides you with an assurance that the practitioner has shown they have the skills, knowledge, and experience to meet government-backed national standards. Here at Downright Construction we value your individual needs. You can start with one of our pre-designed architectural plans, (which are 100% customisable) or design from scratch. Either way, your unique needs are welcomed. When you build with us we give you at least one weekly update on your build progress, keeping you well informed. The reason for this regular update is that we like our clients to feel involved and most of all assuring you that everything is on track and being completed to the highest standard possible. We take a lot of pride in our workmanship with laser-sharp quality control. We also stamp our personal building licence on all of our builds. We're here to build the Downright Construction brand into a high end, high quality new home build company. With Downright Construction, each client is held with the upmost respect. Every decision is made as a team. This ensures we give complete transparency throughout the build process and you have a front row seat to your build! Your Guarantee moves with your property. So, if you sell inside the 10 year time period, the Guarantee can be transferred to the new owner. This has the potential of adding extra return on your investment and peace of mind for the new owner. When you build with an approved member of New Zealand Certified Builders, you’re protected by New Zealand’s most comprehensive 10 year building guarantee – Halo.